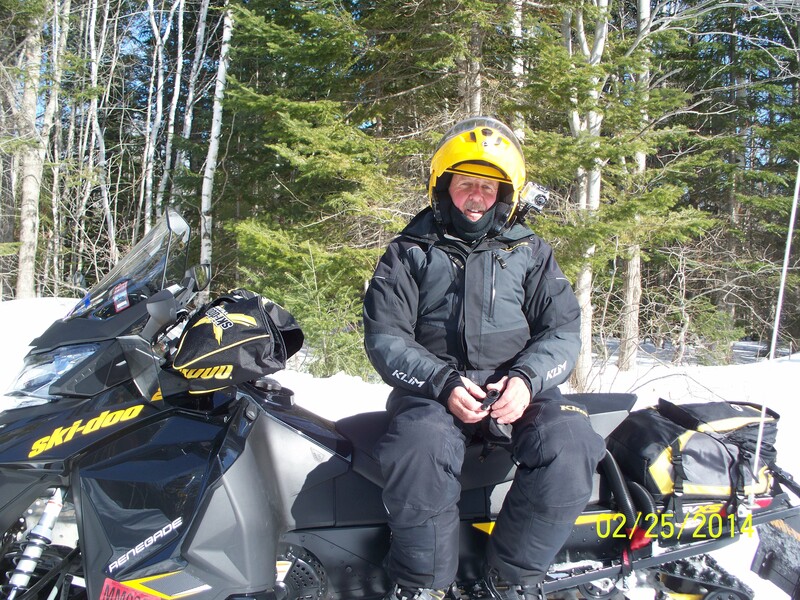 Jim Adent is our snowmobiler of the day…..He drives a Ski-Doo and lives in St. Joseph, Michigan…. Jim had a stroke last year and told his doctor that he had until Feb. to get him better because he was going on a snowmobile ride to the Gaspe and Doc must have listened because he is with us and doing great…. Great picture!! Looks like you are enjoying your trip. Keep safe!! See you this weekend.